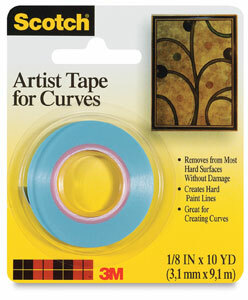 3M Scotch Artist Tape for Curves is an airbrush artist's dream. This tape is specifically designed for creating hard, curved, painted edges. It sticks securely and can be stretched into curved edges. 10 yard (9.1 m) roll.